Novartis case is the landmark judgement not only in the field of IP but also for ‘aam-aadmi’. The historic date of April 1, 2013 witnesses the discourse around the world about a key feature of India’s patent regime. The core of the case focussed on the interpretation of section 3(d) of India’s patent law. In the impending verdict on Novartis Glivec, Supreme Court ruled against the company. The loss of Novartis was the impeccable news to Indians and the grade of many domestic pharma companies, especially Cipla and Natco. The verdict led to a decrement of stock price of Novartis. The judgment oozed out to be the harbinger of strong message that getting patents for drugs in India is not obvious. The verdict proved to be a solace for millions to have entree to medicines at low cost and banishing the concept of evergreening the patents by pharmaceutical industries. 1997- Patent application filed by Novartis AG at Madras patent office for beta-crystalline of GLIVAV. 2003- Novaris obtained EMR for 5 years in order to market Glivec, hence preventing other pharma companies from manufacturing generic version of the same-price thus soaring from Rs 10,000 to Rs 1.2 lakh. 2005- Amendment of patent law in comply with TRIPS agreement CPAA(cancer patient aid association)filed a pre-grant opposition against Novartis patent application. 2006- Novartis was refused grant of patent by Madras patent controller, leading to manufacture of generic version of drug by other pharma industries. Writ petition was filed at the Madras high court by Novartis. 2007- Matter transferred to IPAB. High court rejected the writ petitions. 2009- IPAB rejected Novartis appeal. Novartis filed special leave petition in Supreme Court. 2013- SC dismissed Novartis petition. “the Indian SC’S decision on section 3(d) in the famous Novartis case created a precedent and has helped us in our campaign for affordable medicine”, says Loon Gaugte, an Indian activist, regional co-ordinator, South Asia of International Treatment Preparedness Coalition(ITPC) and one of the founders of DNP+. However, the challenges and difficulties persist. The study report titled ‘Pharmaceutical Patent Grants in India’ explains how our safeguards against evergreening have filed, why the system must be reformed, and analysis of the challenges that have led to section 3(d) being underutilized despite the landmark judgment of SC. Copyright is an intangible right given to the author of an original artistic work. It protects the work from reproduction or publishing for monetary gain without the consent of the owner. The words generally used while discussing infringement are reproduction, translation, adaptation, derivation and transformation. Though it may seem that they have same or similar meaning, in the theory of copyright, they have a different status. Therefore, a movie adaptation of a book cannot be made without the consent of the author. Similarly, translation also infringes copyright as they are essentially a reproduction of someone’s original work for monetary reasons. Raising eyebrows, this has given heat to the recent discussions as to whether an existing work when translated into Braille will account to a copyright infringement or not? What is Braille-translation or transliteration? 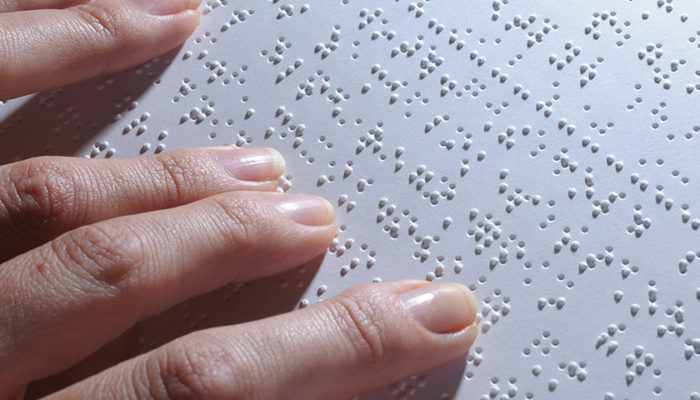 Braille is a palpable reading and writing system used by blind and visually impaired people. Represented by the patterns of raised dots that one can feel with their fingertips, it enables the visually impaired to study, regardless of the language and is hence acting as a universal code for all the languages. Translation implies the conversion from the original language to a different alternate language. Since Braille is not a language, the term translation cannot be used in this context. Taking an example, if we convert “Bhagwan”( in Hindi) to Braille, the output cannot be regarded a translation as it remains in Hindi and does not feature conversation into any other language such as English. Therefore, such conversion is not considered as a translation and is instead termed as a transliteration. This way, Braille does not violate section 14(a)(v) of the copyright act, 1957 and hence such conversion shall not attract infringement charges. Does conversion of literary work into Braille come under the scope of adaptation and reproduction? Adaptation involves the preparation of a new work in the same or different form, based upon an already existing work involving re-arrangement or alteration of the same. If literary work is converted into Braille, it will lead to the violation of rights under section 14(a)(vi). Will conversion of literary work into Braille lead to reproduction of work under section 14(a)(i)? Interpretation of ‘reproduction of work’ is debatable and the conversion of literary work into the six-dot Braille code will solely, and exclusively depend upon this interpretation. 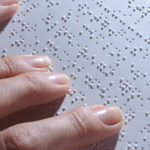 Braille is technically sticking to the contents, but for expression to be categorized as reproduction, conversion may remain true to content or expression or both. The new cause (zb) added to section 52(1) of the copyright act, 2013 provides for fair use of the work for the benefit of the disabled; facilitates adaptation, reproduction, issue of copies or communication to the public of any work in an accessible format. Since Braille is a part of accessible format, section 52(1)(zb) suggests that the expression “adaptation, reproduction and communication to the public” can be used with respect to it hence, generating the clarity on Braille fitting into the scope of adaptation and reproduction. Whether Braille can cause copyright infringement? The district court in Authors’ Guild v. Hathitrust, 2013 U.S. Dist. LEXIS 22370, (S.D.N.Y. 2013), had held that the digitization of millions of books made available to people with disabilities was a transformative use, even though each of the books’ contents was reproduced in their entirety and without any content modification. Should the court of appeals affirm this holding, the court would be indicating that there need not be any kind of expressive transformation in the copyrighted works and the mere putting of the copyrighted works to a different purpose from that which the copyright owners intended shall be considered. Analyzing the above judgments, we may conclude that the conversion of literary work into Braille will be covered under copyright infringement if the proper license is not taken. Copyright is an exclusive legal right given to the creator on his tangible work that entitles him to recreate, reproduce or publish the work for monetary gains or otherwise and also prevents someone else from doing the same. A creator can protect his original work of authorship including literary, dramatic, musical and artistic work. The issue of the copyrightable nature of tattoos gained attention because of the 2011 movie, Hangover Part II. One of the characters of the movie had a replica of the famous Mike Tyson face tattoo. The Tattoo artist had already registered the design with the United States Copyright Office and thus, sued Warner Bros. for copyright infringement. Even though the parties, later on, settled the case with confidential terms and agreements, it raised many questions. As mentioned above, all the original work of authorship is protected by copyright and no international convention or the Indian Copyright Act, 1957 explicitly excludes tattoos. Thus, tattoos are copyrightable and hence many tattoo artists are getting their original designs copyrighted. The second question involved is who would be the owner of the copyright, the tattoo designer or the person on whose body the tattoo is engraved? The U.S Copyright law protects the original work of authorship and thus the right of ownership of tattoo rest on the tattoo designer. Most legal scholars agree that a tattoo artist offers his client an implied license to display the copyrighted work, but that license does not necessarily include all of the rights afforded under copyright laws. The client may not have the right to make reproductions or derivatives of the tattoo without the artist’s permission. In the UK too, if the person is getting a tattoo that is not his original design, the ownership would lie with the tattoo designer with no provision of “fair defense” to rely on. In India, under Section 17 of the Indian Copyright Act, 1957 the first owner of the copyright is the author of the work (in this case the tattoo artist). However, the law regarding ownership of copyright is not definite and still in it is primitive stage. This is primarily because there is no statute or judgment to seek guidance. In case of Warner Bros. even though no judgment was passed, in her comments, Judge Perry supported the rights of tattoo artist and stated that a tattoo can be subject to copyright if it an original work of authorship. She also refused to accept Warner Bros. strong contention claiming the use of tattoo as a parody. According to her, the tattoo depictedan exact replica and thus cannot be called a parody just because it was featured in a comic film. Though it may fall in the category of fair use in case of private users, the usage becomes commercial when replicated by a company or when the design is worn by a celebrity, and thus, may lead to infringement. The law regarding tattoos and their copyright is still ambiguous. Till date, all the high profile cases regarding the issue have been settled out of court. Thus, initiating the conversation but leaving everybody without any definite conclusion. In a time where IP rights are getting recognized and artists are given due credit for their work, there is no reason to exclude tattoo artists from enjoying the privilege of these acts. Many tattoo artists are getting their original work registered, but due to the lack of specific legal guidelines, the extent of its implementation remains questionable. The Indian Patent act is well known for its impartial approach towards Innovation, enforcing the monopoly rights to the patentee and making sure the innovation ends up adding to the betterment of the community. The Act not only guarantees monopoly to the patentee but also ensures that the invention is utilized to its fullest extent for meeting the requirements of the community without any undue delay. This enforcement contributes to the promotion of innovation and circulation of technology in a manner to benefit the community both socially and economically. To ensure the stated principles, Section 146 of the Indian Patent Act mandates all the right holders/patentees to submit their working statements by the end of each calendar year. Thus, acknowledging if the patent has worked commercially implemented or worked within in the territory of India, at a reasonable cost and as per the requirement of the public or not. According to Section 146(2) and Rule 131(1), The working statement is to be furnished on the prescribed Form-27 providing the details of the commercial working of the patent in India. According to the patent office annual report, during 2016-17, for the total 48765 patented inventions, 42870 working statements were received, out of which only 11318 patented inventions were stated as working. Though Section 122 of the Indian patent act explicitly states that “If any person refuses or fails to furnish- he shall be punishable with imprisonment which may extend to six months, or with fine, or with both.”, until now no action has been taken by the patent office against any such patentee. 1. Did the patented invention: Worked / Non-worked? 1. if not worked; the reason for not working and steps being taken for working of the invention. 2. if worked; quantum and value (in Rupees), of the patented product. Since the above information is confidential in nature, the patentee holds a fear that it may be misused because, as per Section 146 – Controller may publish the information received by him under sub-section (1) or sub-section (2) in such manner as may be prescribed. For the same reason, patentee tends to provide as minimal information as possible. Further, in many cases, it is impractical to collect all the information to be furnished in the Form-27 and only imparts an extra burden and incurs added cost to the patentee. The provisions provided in the act defines the submission of working statements as a duty of every patentee. It enables the government to provide certain benefits to the patentee while ensuring the advantages of the invention are enjoyed by the public. Going forward, continuous efforts are being made by the Patent Office to make it more authentic and a considerable rise has been observed in the filing trends for recent years. As our world moves through a phase of technological revolution, Virtual Reality has become the new magic word among technology geeks. Virtual Reality (VR) is used to describe a three dimensional, computer generated, artificial environment which the user believes and accepts as a real environment. Barring entertainment, VR possesses a great potential of transforming the future of numerous fields with medicine, business, architecture, designs and manufacturing being some notable mentions. Medical professionals have already started using VR to teach their students how to perform surgeries, ease patient’s pain, and treat various social disorders. VR is also helping children and teenagers suffering from autism to overcome their fears of socializing. Automobile manufacturers are employing VR to test the safety of their cars. Architects are now able to build stronger buildings with the assistance of VR. Among its numerous users, travel agencies have also had their fair taste. Using VR, travel agents are now able to pitch various travel destinations to their customers in a very enchanting manner. Irrespective of the innumerable advantages of using VR, there exist few disadvantages too. Its high cost, technological limitations, appended with incidents of causing motion sickness in users cannot be ignored, and challenge its projection as a “user friendly” technology. VR is gaining applauds in the field of intellectual property. Originality is the sine qua non of intellectual property. Indian law doesn’t provide for any law to test the originality of the work. However, the degree of creativity marks the work as original. Since there is no definite concept of originality, there exists different doctrines for the same. The two main doctrines followed in the area of intellectual property are “sweat of brow” and “modicum of creativity” doctrine. According to the doctrine of “sweat of brow”, the author gains rights through simple diligence during the creation of the work and substantial creativity is not required. For Example, the creator of a telephone directory or a database must have a copyright over the product not because such a compilation of data showcases any creativity, or the author has expressed anything original, but merely because of the effort, time and money invested by the creator to collect and organize all the data in a specific manner. However, such a compilation must be the work of the author himself and must not be copied from another source. The other doctrine, modicum of creativity, stipulates that originality subsists in a work where a sufficient amount of intellectual creativity and judgment has gone into the creation of that work. The standard of creativity need not be high, but a minimum level of creativity should be there for copyright protection. India actively followed the concept of “sweat of brow” for a considerably long time. Till 2007, Indian courts held compilations to be copyrightable. However, in Eastern Book Company & Ors Vs. D.B. Modak & Anr; 12 December 2007, Hon’ble Supreme Court discarded the doctrine of “sweat of brow” and shifted to “modicum of creativity” approach. The facts of the case is that SCC, the Supreme Court Case reporter, was aggrieved by other parties infringing their copyright and launching software containing the judgment edited by SCC along with other additions made by the editors of SCC like cross references, head notes, the short notes comprising of lead words and the long note which comprises of a brief description of the facts and relevant extract from the judgments of the court and standardization and formatting of text, etc. The notion of “flavour of minimum requirement of creativity” was introduced in this case. It was held that to establish copyright, the creativity standard applied is not that something must be novel or non-obvious, but some amount of creativity in the work to claim a copyright is required. The Court held that these inputs made by the editors of SCC can be given copyright protection because such tasks require the use of legal knowledge, skill and judgment of the editor. Thus, this exercise and creation thereof has a flavour of minimum amount of creativity and enjoy the copyright protection. From then onwards, Indian courts are following “modicum of creativity” approach and completely rejected the plea to protect mere compilations. In order to attain intellectual property right, the work has to be original and not merely a copy of original work. Thus, the primary objective of maintaining a balance between labour of the author and original expression is ensured. This means that all the Internet Platforms that hold a large amount of user-uploaded material like Facebook and Youtube are now in charge of policing the content before its publication into their platforms to avoid copyright infringement, and will have no more ‘Neutral Intermediary’ protection they usually availed by E-commerce Directive in EU. The proposal above which mandates a content recognition technology is contradictory to EU’s E-commerce Directive. Recital 47 of the e-Commerce Directive mandates that “The Member States are prevented from imposing a monitoring obligation on service providers only with respect to obligations of a general nature; this does not concern monitoring obligations in a specific cases.” But this recital can be easily circumvented because of its vague language aided with the language of Recital 48 providing that nothing can stop the member states to apply reasonable “Duty of care” to the service providers. An uploader published copyright protected (allegedly stolen) videos of Plus 4, An Austrian Television Station and sued YouTube for allowing it to be published. If a similar judgment were to happen in the United States, the implications could be huge. YouTube has been sitting safely under the umbrella of the Digital Millennium Copyright Act‘s “Safe Harbor” clause for years. After Viacom sued YouTube in 2007 for hosting around 79,000 videos that featured some Viacom-owned content, the court ruled in favor of the video platform because it could answer “no” to three questions: Did YouTube have “knowledge or awareness of any specific infringements”? Did YouTube purposefully shield itself from knowledge of the infringements? And did YouTube have the “right and ability to control” activity on its site that led to those infringements? In essence, answering no to all of these questions makes YouTube a “neutral intermediary,” exactly what the Vienna court believes it is not. Therefore, the contentious Article 13 of the Copyright Directive goes for a vote on 20th June 2018. This Article if enforced is likely to cause uproar amongst digital activists and also make the copyright provisions highly strict and complicate publications and broadcasts, and will also lead to erasing away of existing content like memes, music covers, etc, as a non-transparent filtering device will be mandated to be installed by such hosts. Bitcoin Trademarked in the UK – Should the Bitcoin Community really worry? A company in the U.K. has trademarked the term “Bitcoin” pressing to enforce the trademark’s use which is reported to scare crypto-currency enthusiasts. Is there really a need to be dreaded? Let’s analyse. But in an act of goodwill, the letter goes on to note that though the trademark holder could take action against the seller but it gave the seller 14 days to remove the infringing goods instead. The truth is not even near to the speculations, as the Trademark law is clear on the point that Trademarks relate to specific goods and services. It is considered as a pre-requisite in Trademark law. Trademark used in the present case, i.e. UK00003279106, registered by a company called A.B.C. IP Holdings South West only covers three classes of goods: U.K. classes 25, 32 and 33, covering clothing, beverages, and alcoholic beverages, respectively. The Particular trademark only pertains to the above-mentioned classes and the trademark holder has absolutely no authority and effect over anything to do with Trademark of the “Bitcoin” outside the aforementioned classes. The protected trademark is registered to Japanese Bitcoin exchange “bitFlyer” and covers the use of bitcoin in six different classes. It covers over a thousand items, however, the most important and disturbing things is that it includes the use of bitcoin in computer programs, advertising, financial services, electronic commerce and much more, all of which are vital parts of bitcoin itself. There appears to be no record of “bitFlyer” having actually attempted to enforce its trademark in the past, and it’s not clear it ever would. But if the cryptocurrency community wants to get its knickers in a twist over trademarks, this is where people should be looking and not at a two-bit seller, i.e. Etsy, who is engaged in selling T-shirts. This case involved the controversy regarding the unauthorized application of the patent of the DTSi technology. The case became very vital regarding not only the financial stakes of the parties but also regarding the application of the doctrine of pith and marrow also termed as Doctrine of Equivalents. This case was filed before the Madras High Court in 2007. The plaintiffs (Bajaj Auto Ltd), along with the state of Maharashtra alleged the defendants (T.V.S. Motor Company Ltd.) of infringement of the patents of the plaintiffs, which apprehended the invention of the technology of advanced internal combustion engine. The case engaged the questions of patent infringement by the defendant and the damages for the same. Furthermore, the case threw light upon the argument regarding justification of the risks issued by the defendant of the same case. The plaintiffs sought remedy of permanent injunction for obstructing the defendants from using the technology or invention prescribed in the patents of the plaintiffs; and for obstructing them from marketing, selling offering for sale or exporting 2/3 wheelers (including the proposed 125cc TVS FLAME motorcycle) that consisted of the disputed internal combustion engine or product that infringed the patent. Damages for infringement of the patent were also claimed by the Plaintiffs. The Supreme Court of India by this landmark judgement directed all the courts in India for speedy trial and disposal of intellectual property related cases. In this two-year-old dispute involving two companies, which had been locked in a patent dispute over the use of a twin-spark plug engine technology, the Supreme Court observed that suits relating to the matters of patents, trademarks and copyrights are pending for years and years and litigation is mainly fought between the parties about the temporary injunction. The Supreme Court directed that hearing in the intellectual property matters should proceed on day to day basis and the final judgment should be given normally within four months from the date of the filing of the suit. The Supreme Court further directed to all the courts and tribunals in the country to punctually and faithfully carry out the aforesaid orders. Novartis filled an application to patent one of its drugs called ‘Gleevec’ by covering it under the word invention mentioned in Section 3 of the Patents Act,1970. The Supreme Court rejected their application after a 7 year long battle by giving the following reasons: Firstly there was no invention of a new drug, as a mere discovery of an existing drug would not amount to invention. Secondly Supreme Court upheld the view that under Indian Patent Act for grant of pharmaceutical patents apart from proving the traditional tests of novelty, inventive step and application, there is a new test of enhanced therapeutic efficacy for claims that cover incremental changes to existing drugs which also Novartis’s drug did not qualify. This became a landmark judgment because the court looked beyond the technicalities and into the fact that the attempt of such companies to ‘evergreen’ their patents and making them inaccessible at nominal rates. First Patent Litigation in India post India’s 2005 Product Patent Regime which included public interest and pricing issues. Over the years India has seen many patent disputes between Foreign Multinational Pharmaceutical companies and Indian generic drug companies. But the suit between Roche and Cipla has surely set the standards when it comes to a patent infringement suit. In this case, two plaintiffs, namely, F. Hoffmann-La Roche Ltd. and OSI Pharmaceuticals Inc., filed the suit for permanent injunction restraining infringement of patent, rendition of accounts, damages and delivery against Cipla Ltd. Mumbai. Indian Generic manufacturer Cipla won this landmark case in the Delhi High Court. The case is the first Patent Litigation in India post India’s 2005 Product Patent Regime which included public interest and pricing issues in addition to India’s Section 3d that prevents evergreening. The case was followed by Pharma Giants worldwide. What Shall Be The Actual Date Of Grant Of A Patent? 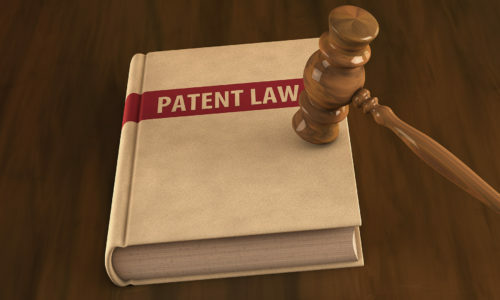 This case was instrumental in determining when a patent can said to be granted under the Patent Act 1970 (the Act). This lack of clarity led to a scrutiny of the relevant provisions the Act and also the existing process with a time gap between the grant and the issuance of the patent certificate. The Delhi High Court, while holding that the date of grant of a patent is the date on which the Controller passes an order to that effect on the file, noted that the language, “a patent shall be granted as expeditiously as possible” (u/s 43) does point out that a patent has to be granted once it is found that either the application is not refused in a pre-grant opposition or otherwise is not found in contravention of any provision of the Act. At the core of the legal challenge was the existing process, which resulted in a time gap between the grant of a patent and the issue of the patent certificate. The court held that the date of the grant of a patent is the date on which the controller passes an order to that effect on the file i.e. on the day in which the Controller makes a decision to grant a patent. The issue of a certificate at a later date is then nothing more than a mere formality. The court also came down strongly against the practice of filing serial pre-grant oppositions. through aliases, a practice now fairly common in most pharmaceutical patent cases. Therefore, the decision taken by the Controller on the file is the determining event for ascertaining the date of grant of patent and the acts of sealing of the patent and entering the same in the Register are ministerial acts evidencing the grant of patent. On March 9, 2012, the Indian Patent Office granted its first Compulsory License to Natco Pharma Ltd. for producing generic version of Bayer Corporations’s patented medicine Nexavar (Sorafenib Tosylate), which is used in the treatment of Liver and Kidney cancer. While the multinational giant was selling the drug at INR 2.80 lakh for a month’s course, Natco promised to make available the same at a price of about 3 % (INR 8800) of what was charged by Bayer. Natco was directed to pay 6 percent of the net sales of the drug as royalty to Bayer. Among other important terms and condition of the non assignable, non exclusive license were directions to Natco to manufacture the patented drug only at their own manufacturing facility, selling the drug only within the Indian Territory and supplying the patented drug to at least 600 needy and deserving patients per year free of cost. Aggrieved by the Controller’s decision, Bayer immediately moved to the Intellectual Property Appellate Board (IPAB) for stay on the orderalleging that the grant of compulsory license was illegal and unsustainable. The Board rejected Bayer’s appeal holding that if stay was granted, it would definitely jeopardize the interest of the public who need the drug at the later stage of the disease. It further held that the right of access to affordable medicine was as much a matter of right to dignity of the patients and to grant stay at this juncture would really affect them. Bayer then filed an appeal challenging the compulsory licence granted to Natco by the Controller-General. The Board stated that the invention must be available to the public at a reasonably affordable price and if not, compulsory licence can be issued and observed that the Sub-sections (a), (b) and (c) of Section 84(1) are separated by the disjunctive ‘or’ and therefore, even if one conditionis satisfied, the Controller will be well within his rights to order compulsory licence. The Board further noted that The R&D costs and the prices of other drugs do not assist in deciding what the public can afford reasonably. It stated that the reasonably affordable price necessarilyhas to be fixed from the view point of the public and the word ‘afford’ itself indicates whether the public can afford to buy the drug. It also stated that even if it takes the appellant’s own number (i.e. the number of affected patients) it finds that the supply made by it cannot be said to be adequate and the price definitely is the factor that will determine whether the public will reach out for a particularinvention. 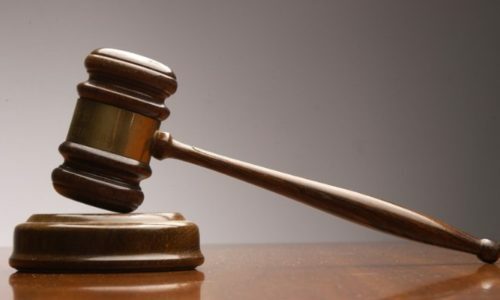 The Board held that the Controller was right in holding that the sales of the drug by the appellant at the price of about 280,000/- wasalone relevant for the determination of public requirement and he was also right in considering the purchasing capacity of the public and the evidence available to conclude that the invention was not reasonably affordable to the public. On the percentage of royalty that was to be paid by the Respondent to the Appellant (6% that was fixed by the Controller), IPAB increased it by 1 percent but did not change any other terms and conditions of the licence. The IPAB dismissed the appeal and confirmed the grant of Compulsory license stating that it has dealt with each of the issue indetail in view of the significance of the order of compulsory licence made in India for the first time. Keeping up its reputation as the land of true opportunities, Japan has always attracted potential entrepreneurs looking to expand their horizons in the field of technology and business. Japan has managed to turn themselves into a huge industrial and commercial hub. Japan is the centre of many companies like Honda, Sony, and Panasonic to jump-start their business and over the decades, turn into global giants. The Japanese Government has continuously endeavored to relax business regulations in order to encourage citizens as well as non-residents to start-up their businesses in Japan. Foreign residents wanting to set-up a business in Japan are required to hold a manager visa, which serves as a legal permit for operating and starting commercial activities in the country. Before 2013, foreign entrepreneurs were required to comply with various stringent norms, such as either employing minimum two full-time employees, or investing a minimum capital of ¥5 million in their business, and also, they had to secure office space in Japan. But, now, Tokyo Metropolitan Government (TMG) has started providing a six-month preliminary business visa, enabling foreign entrepreneurs to visit, explore and set up a base for starting up their businesses in Japan. This short-term permit provides sufficient time to complete the required paper work, get settled and grow businesses without any undue pressure while participants are in Japan. This visa is renewed at the end of the six months, provided the project is progressing smoothly and that all conditions have been successfully met. Japanese government has established Special Business Zones in its metropolitan cities such as Tokyo, Osaka, and Nagoya. 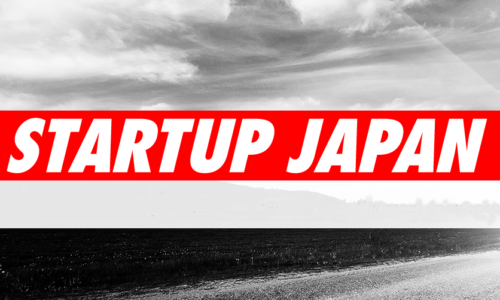 There are numerous benefits of starting up a business in Japan. Japan offers an exciting yet stable business market which is open to trade and foreign investment. Moreover, Japanese market is globally very competitive, especially in the fields of environment, healthcare, IT and automotives. Furthermore, Japan has a highly educated and affluent population which makes them discerning consumers. Loyalty and cooperation are valued by Japanese people over aggressiveness and competitiveness. Being a predominantly collective society, each individual often feels a strong sense of belonging and responsibility towards their work place. Foreign companies wishing to set up a business in Japan have three choices regarding the modes of business operation; they can either open a representative office, a branch office or a subsidiary office. Representative office doesn’t require any registration and is established for carrying out supplemental work only. A representative office, however, cannot ordinarily open bank accounts or lease real estate in its own name, so agreements for such purposes must instead be signed by the head office of the foreign company or the representative at the representative office in an individual capacity. The branch office can begin its business operations as soon as an office location is secured. A branch office does not have its own legal corporate status. The foreign company is ultimately responsible for all debts and credits generated by the activities of its Japanese branch office. A Japanese branch office, however, may open bank accounts and lease real estate in its own name. A foreign company establishing a subsidiary company in Japan has to establish such subsidiary company either as a joint-stock corporation, a limited liability company, or a similar entity stipulated by Japan’s Companies Act. But, owing to its unlimited liability, it is not a common preference of foreign entrepreneurs. According to Japanese Market, foreign entrepreneurs are usually advised to set up a limited liability company, because it ensures equity participation. Opening a local bank account is also a pre-requisite, for depositing the funds in Japan. Earlier, it used to be necessary to have a Japanese resident as a representative director of the company, but now, after the amendments made by the government, it is no longer required to have a representative director. Thus, it has become easier for the non-residents to start-up their business in Japan. The Japanese Government has also been actively promoting foreign investment since the past few decades. Various treaties and deals have been signed by the Japanese government with other countries in order to provide subsidies and favorable work conditions to foreign start-ups. The government has also established “Tokyo One-Stop Business Establishment Centre” to provide one-stop services to start ups for complying with necessary procedures for starting up businesses in Tokyo. To sum up, Japan has come a long way in recent years in order to ease the business of setting-up and to promote entrepreneurship. The first decision on the protection of IP rights on the Internet.